YouTube is one of the hottest and most effective online supplements for growing your business and staying ahead of the competition. YouTube is a place where the “you” in your product comes out, and where the passion for what you do can be best communicated to a public that is otherwise inundated with information, options, and online outreach media. These are three suggested techniques for taking advantages of the benefits of the YouTube opportunity to increase traffic for your website or small business. Today, younger generations are using YouTube as a viewing channel for information. You need to make your YouTube offering informative to keep young people interested in your sector coming back to your channel. Map out your target audience with effective profiling: create buyer personas detailing demographics, interests, and buying behaviors so that the widest audience can see the benefits of your amazing product or service! If you have existing customers, send them surveys. Further, research other businesses in your industry: examine their target markets, check social media for leading questions stakeholders are asking–and generate the solutions! Establish a unique selling proposition that is easily transferable to video along with a strategic timeline for filming, uploading and promoting each video. Research indicates that short-form content is best for attracting traffic, with longer content better for those already familiar with your content, such as repeat customers or viewers. Video format tools for attracting traffic include TrueView In-stream ad, TrueView Discovery and Bumper. “To learn more, or to get a unique discount, click the play button.” Don’t be shy! Compel people to take action with you. Take full advantage of the video description box by adding a description of the content every time you upload something new. Use the YouTube tools, which you can find and are always developing in YouTube’s Call-to-Action Overlay function. YouTube is the world’s second largest search engine behind Google. A White Paper for your YouTube channel is necessary, starting with an effective video title and description. SEO keywords belong in the title, description, and tags, leading with your primary keywords. The best keywords can be determined through Google Keyword Planner, and informed by secondary research tools including Keywordtool.io, keywordkeg, SerpStats and TubeBuddy. Now comes your YouTube copy of 500 words, supplemented by a unique YouTube image and links to your source web page, complete with subscribe and view more video links accompanied by unique thumbnail images, as well as cards on each video linking to your product or web page at the end of each Youtube presentation. 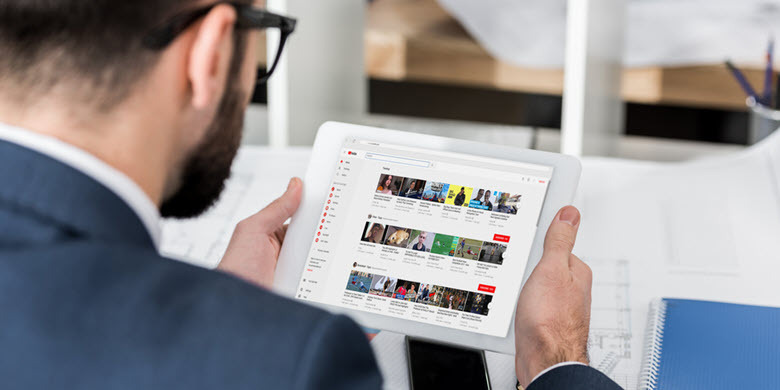 This may not sound simple at first, but if you patiently work with each suggestion, and look at similar examples on YouTube itself, you will come out with a powerful optimized YouTube strategy that will increase your traffic and success!